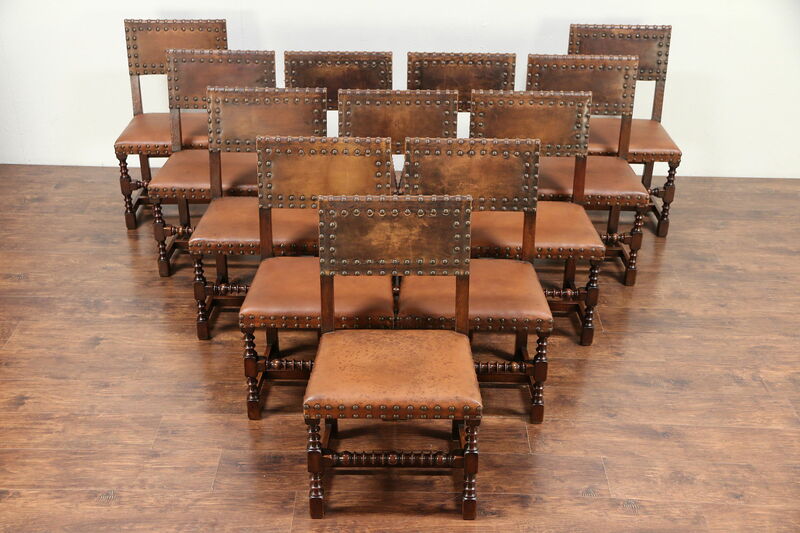 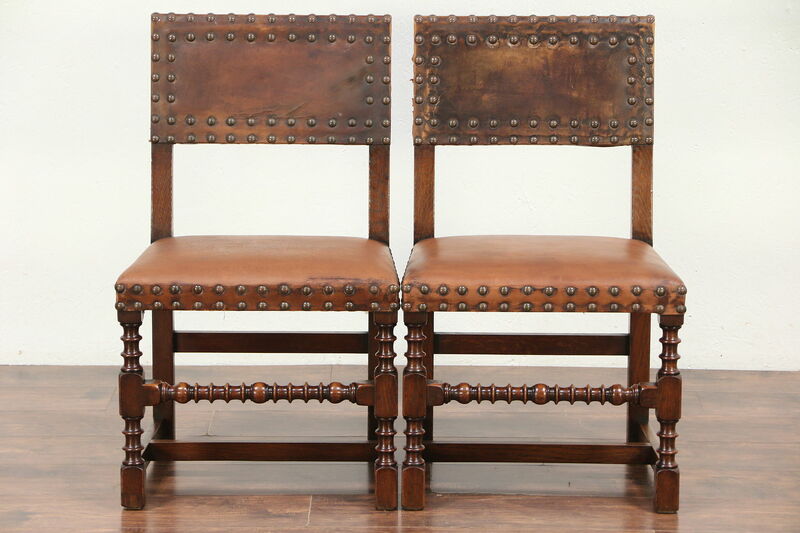 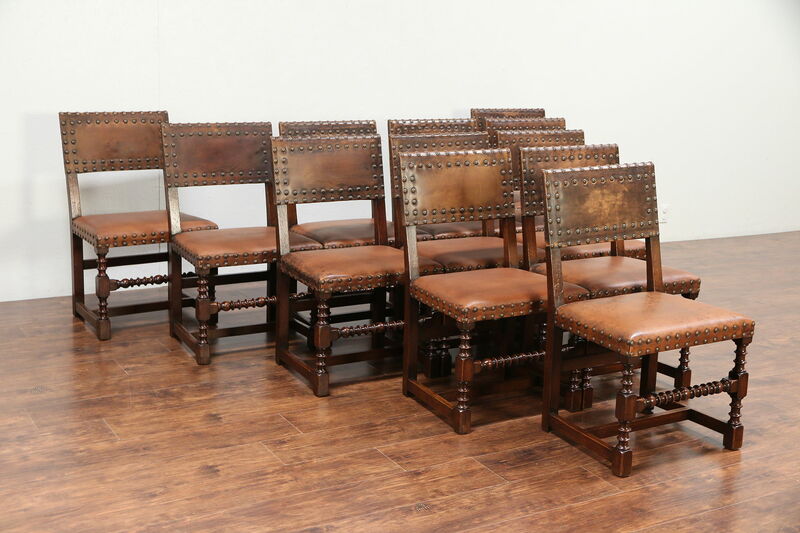 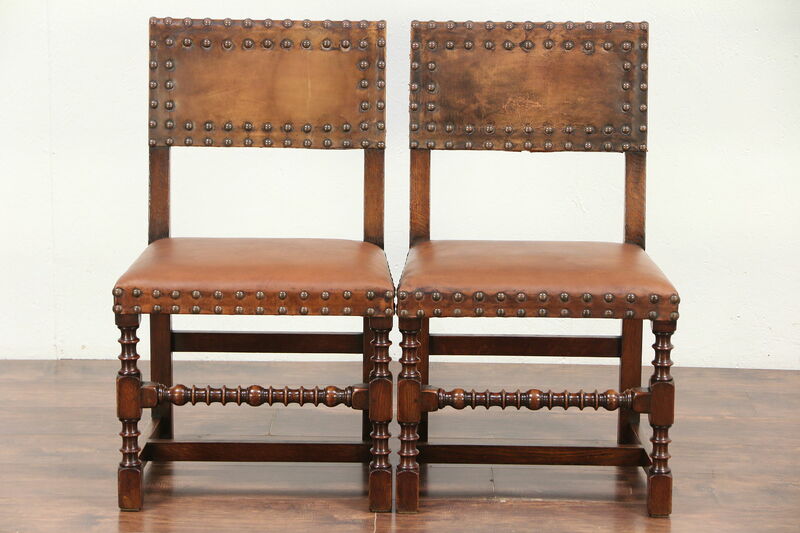 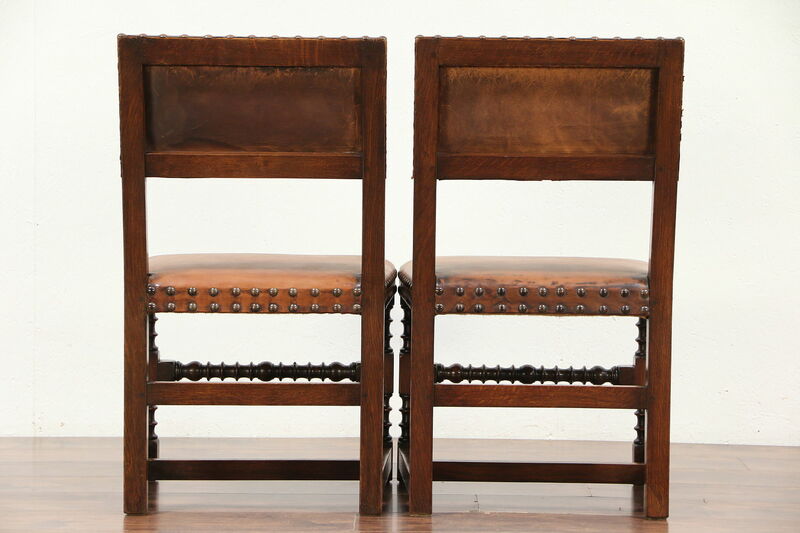 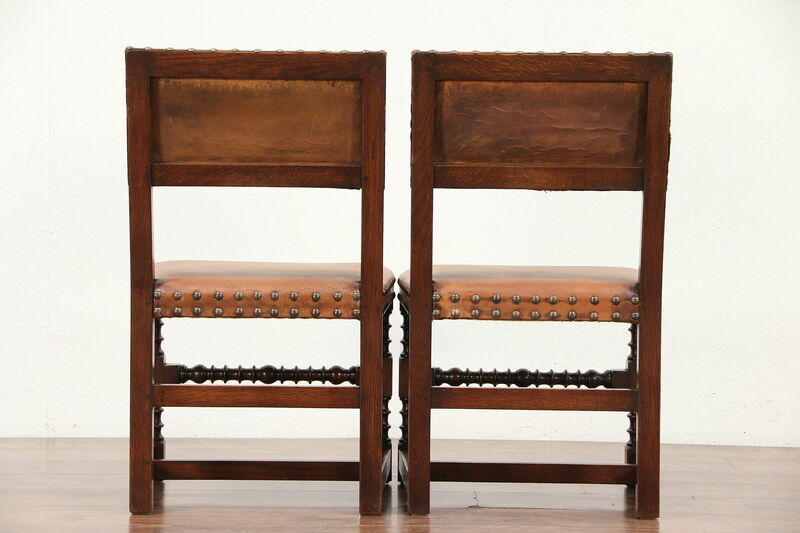 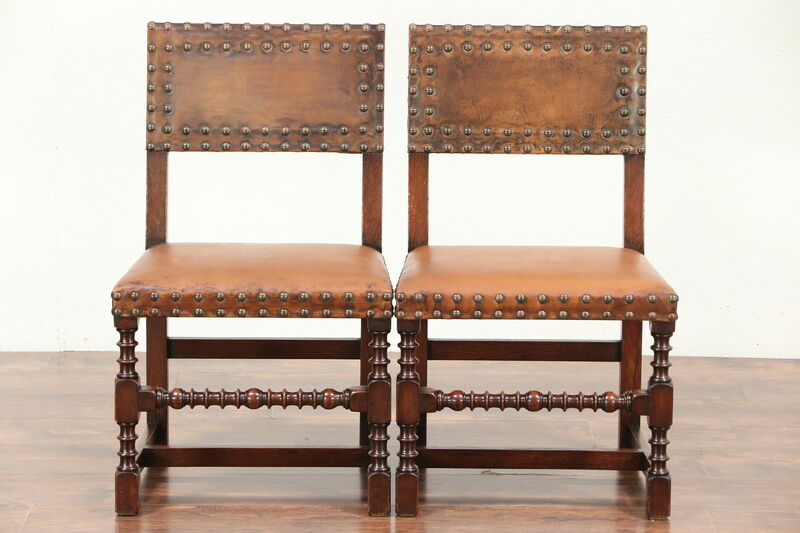 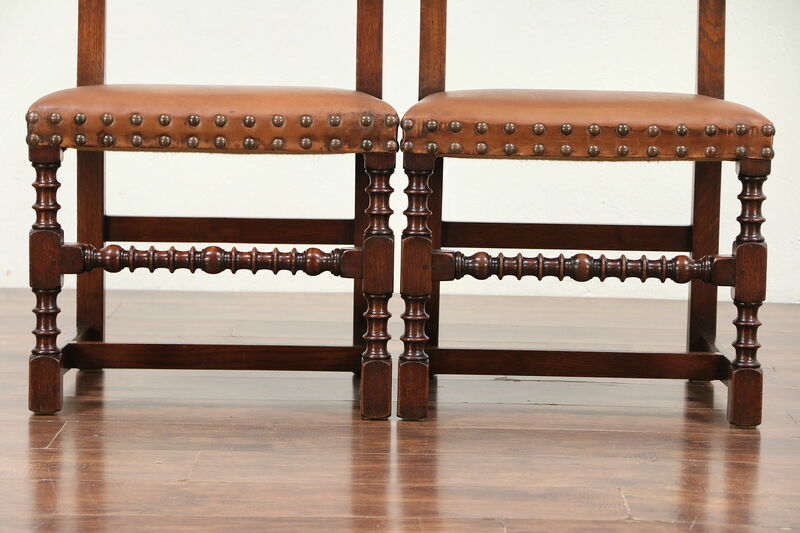 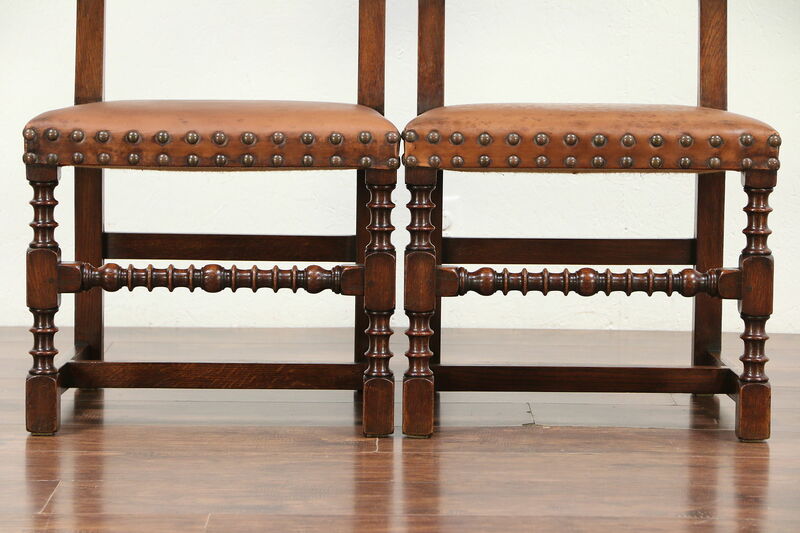 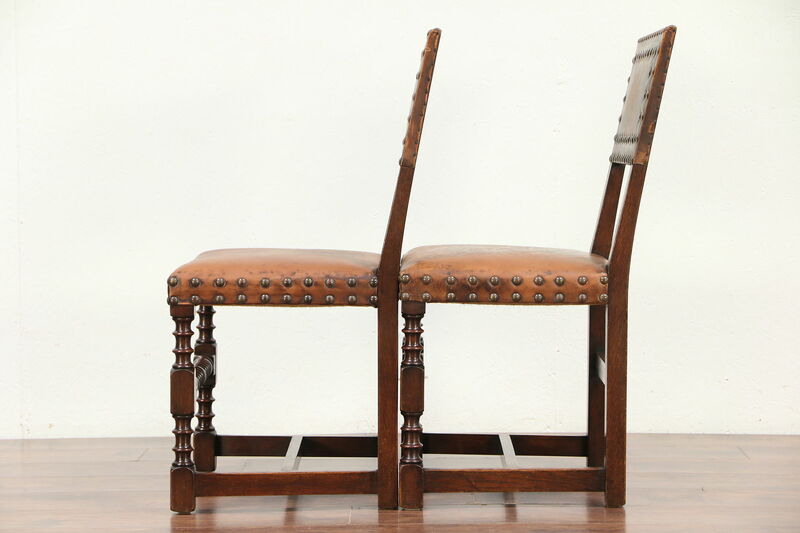 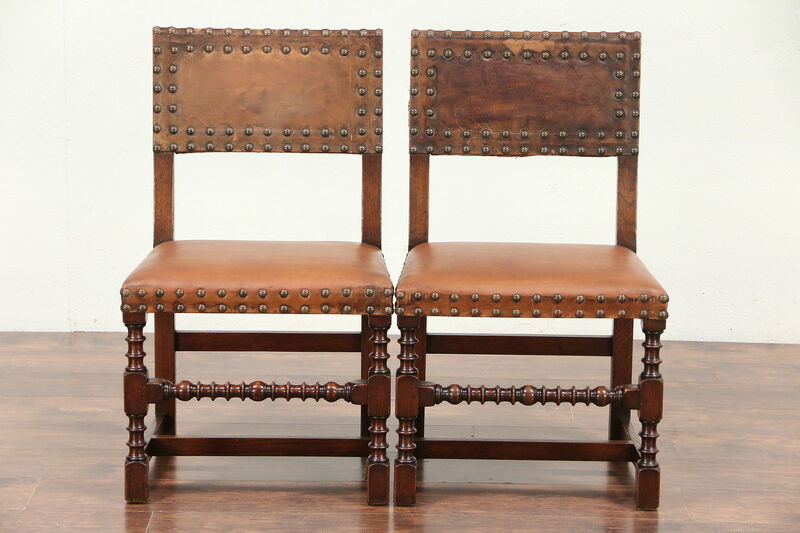 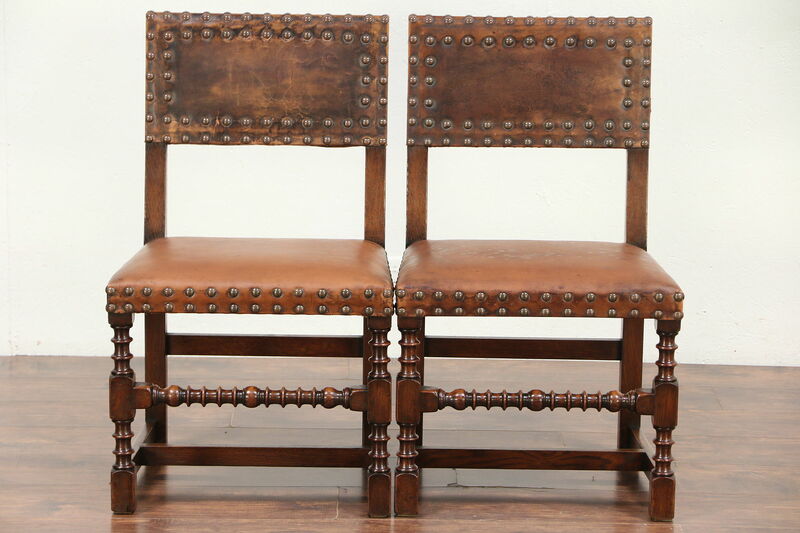 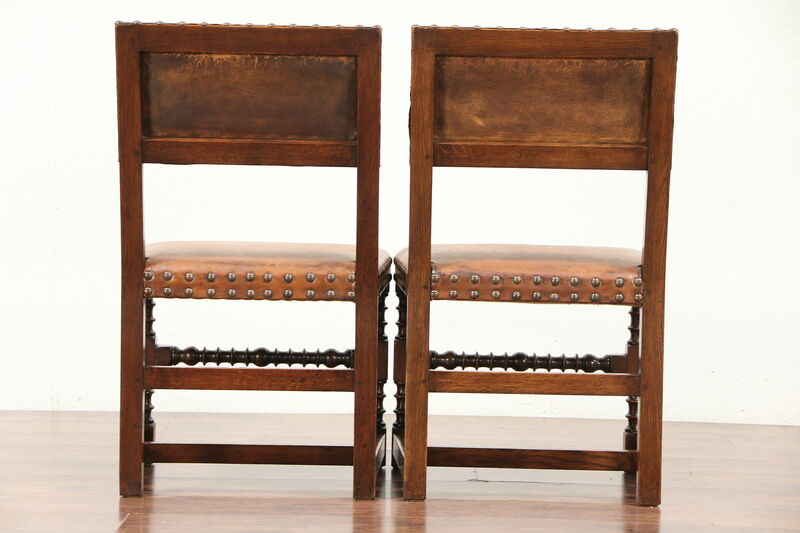 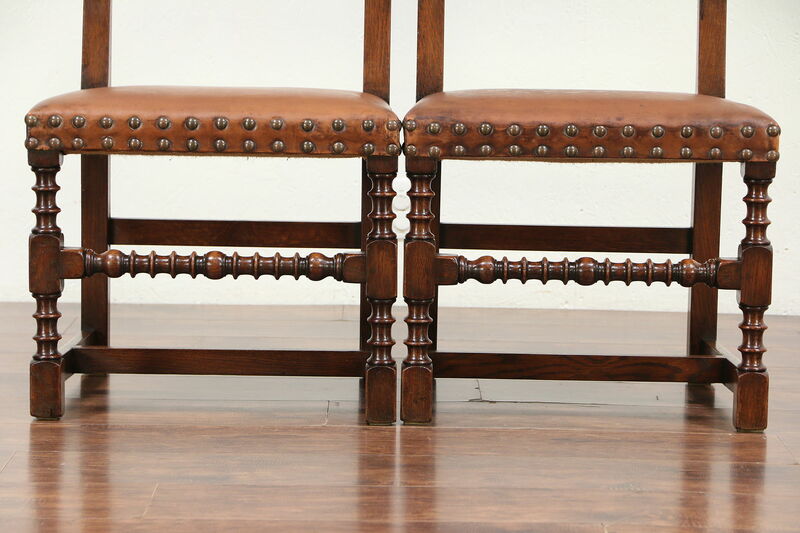 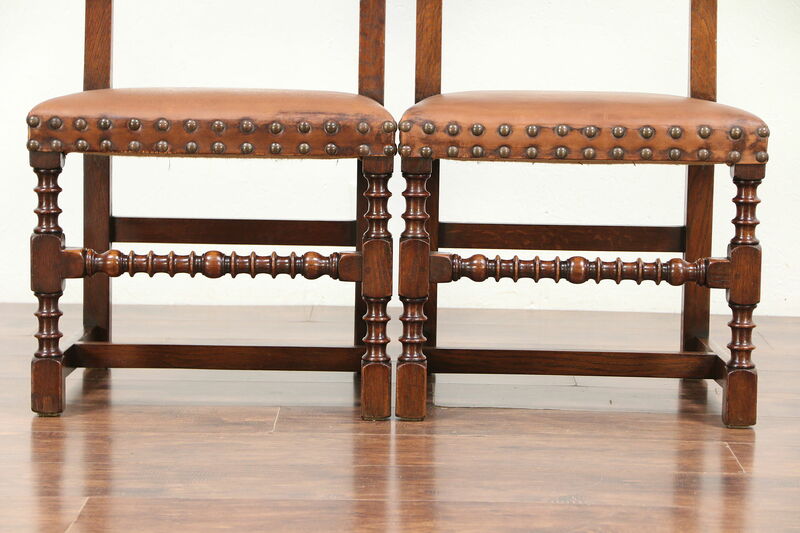 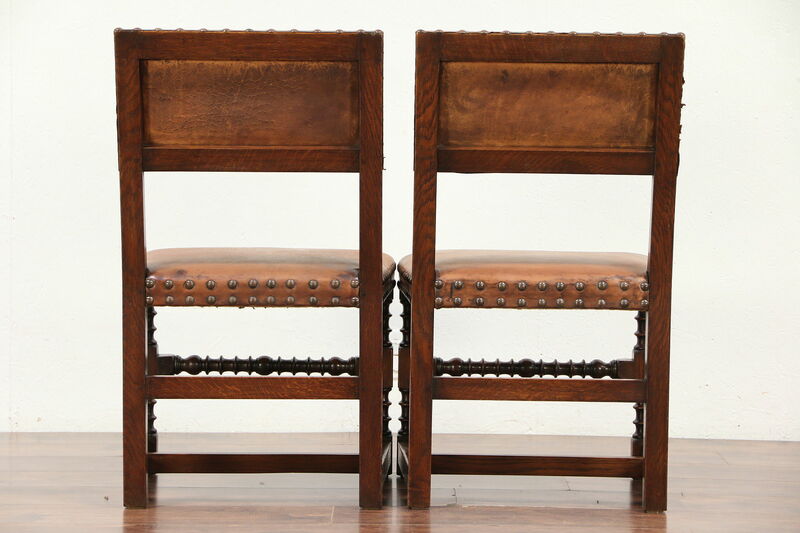 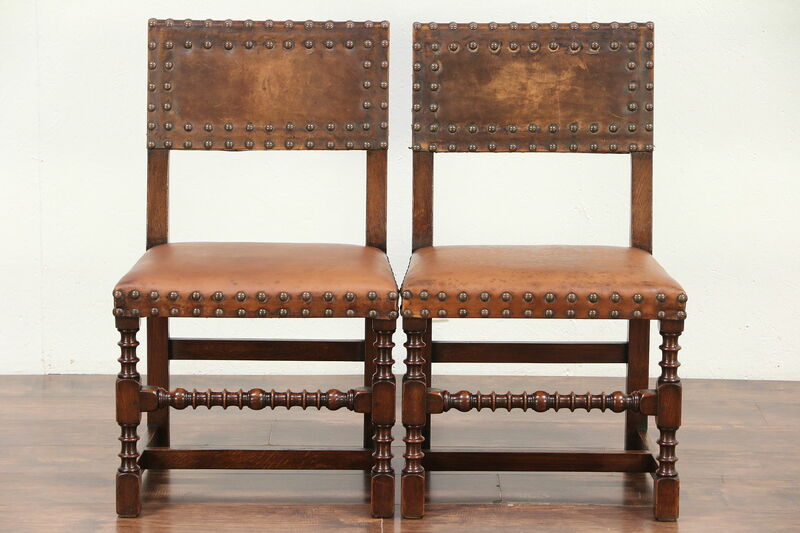 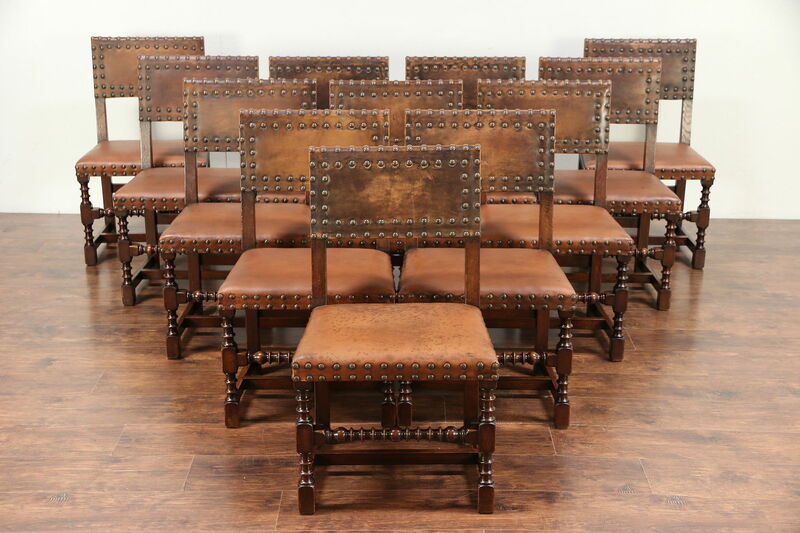 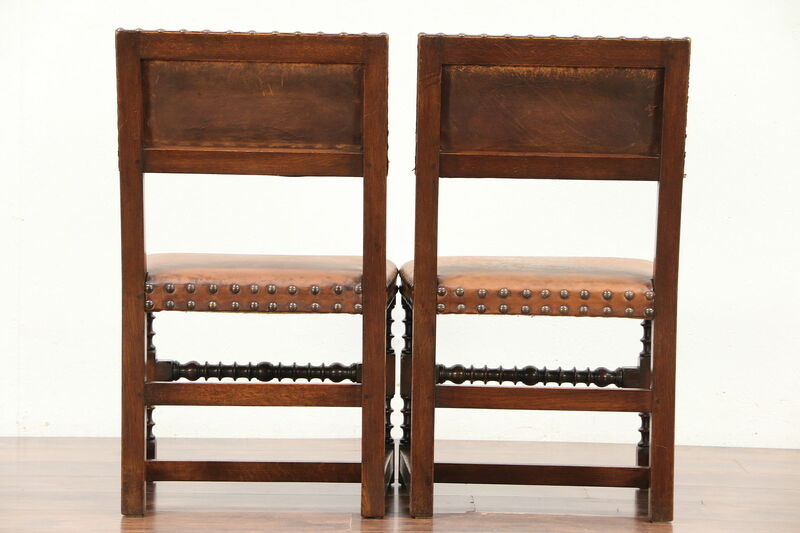 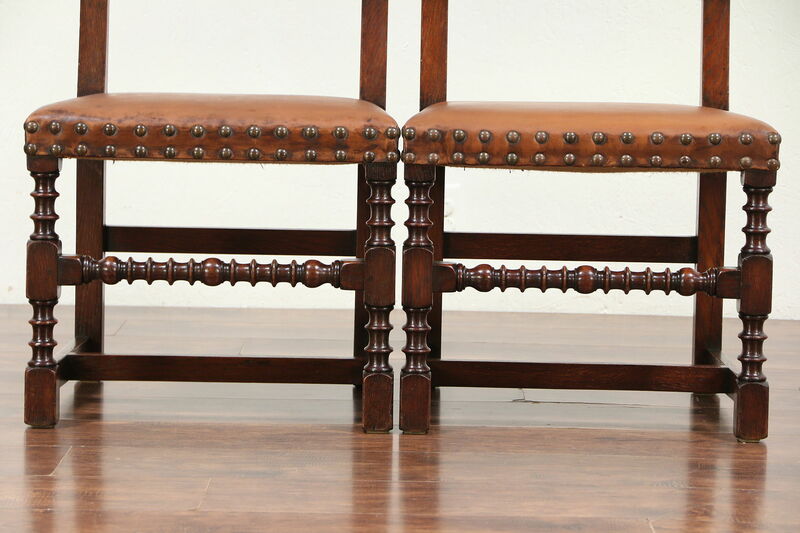 A set of twelve dining chairs were carved in the English Tudor manner about 1880, and have old saddle leather upholstery with brass studs. 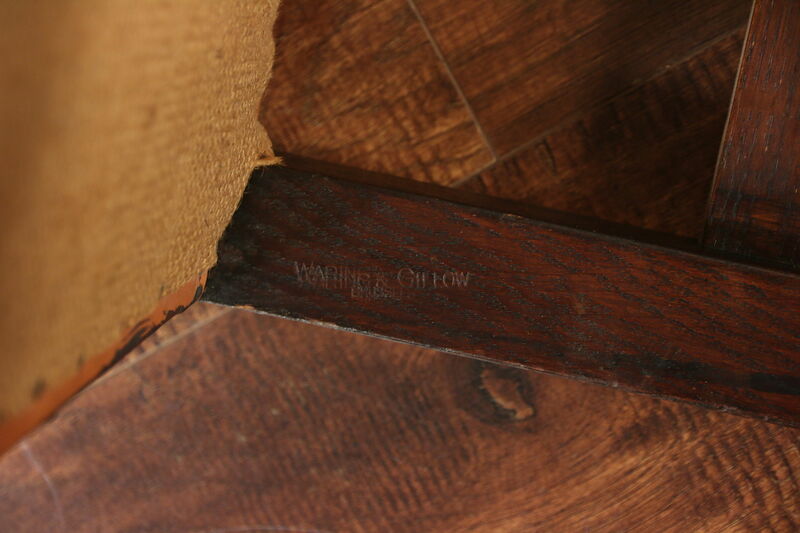 Signed "Waring & Gillow, Brussels" with a stamp, this famous English furniture maker was in business from 1770-1960. 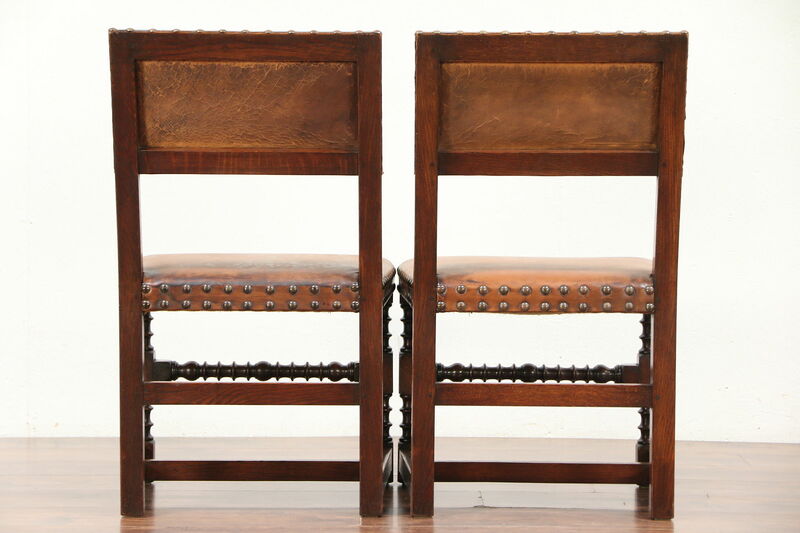 Their success in London as a Royal supplier was so great that they opened branches in Madrid and Brussels for a time. 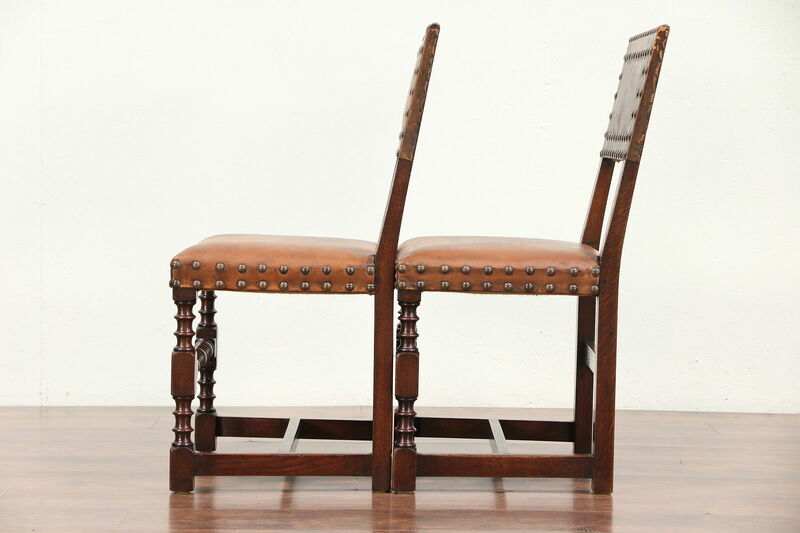 The spool turned solid oak frames have various restorations over the decades and are reglued to serve another generation. 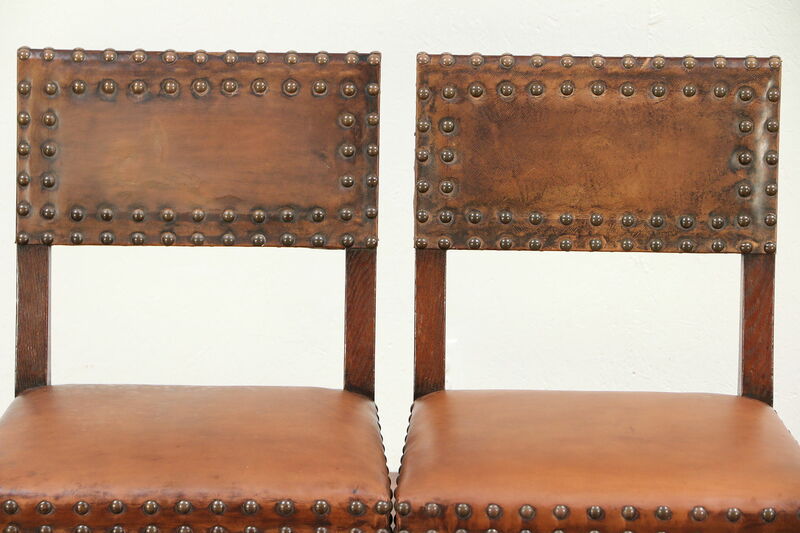 The original finish is very well preserved and has been waxed and buffed, so all that is needed to maintain their warm luster is an occasional wipe with a soft dry cloth. 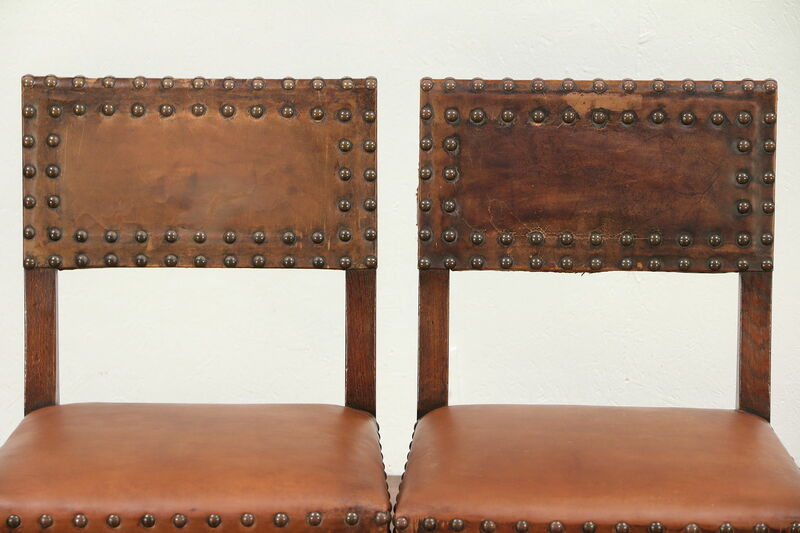 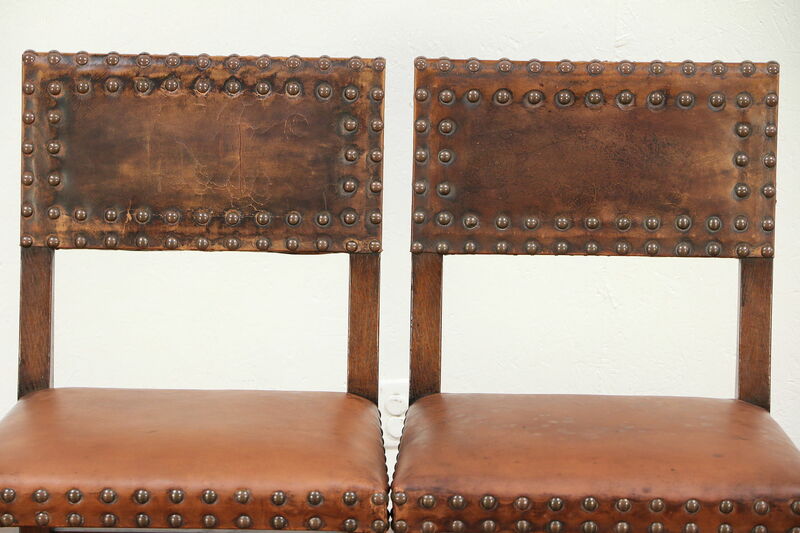 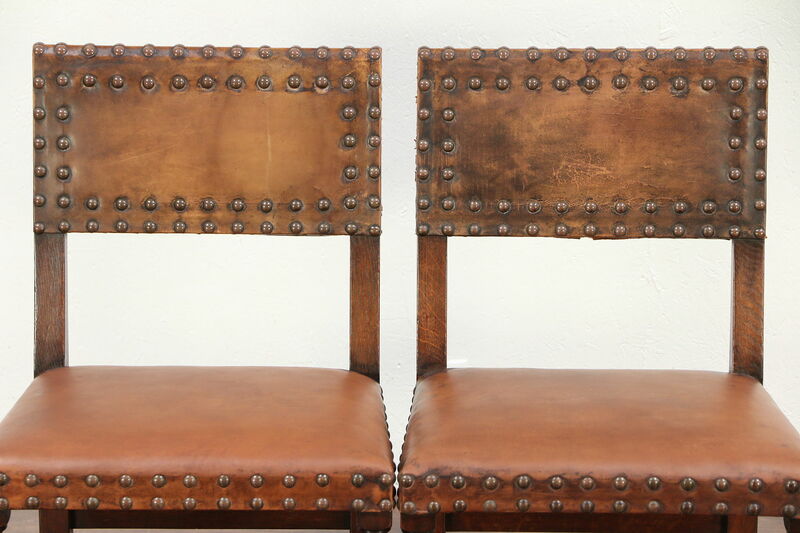 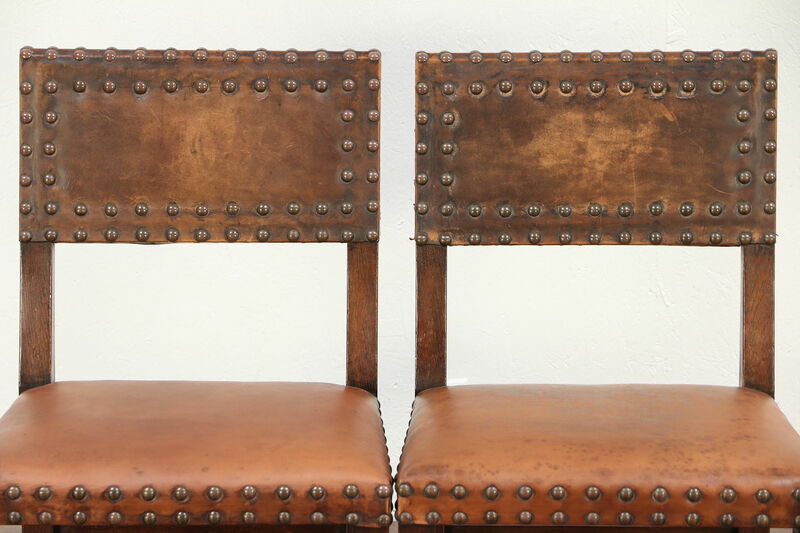 Well worn leather upholstery has stains and mars for antique character and some restorations to the backs. 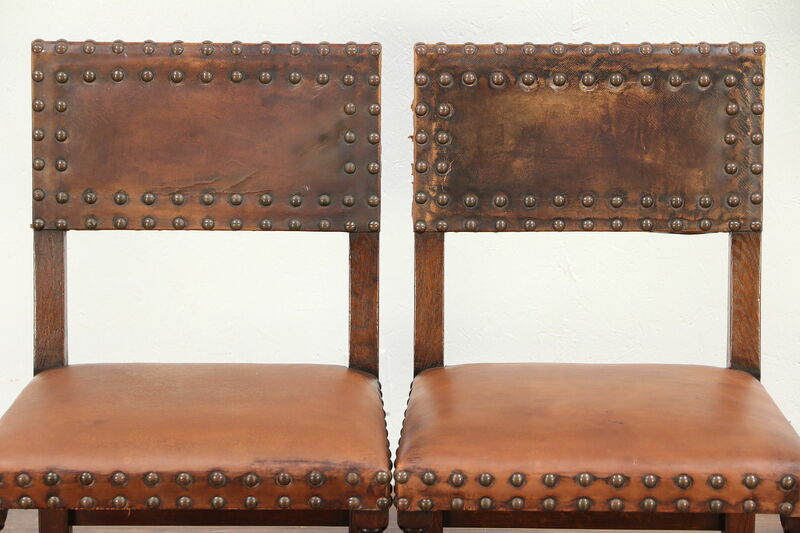 Soft leather seats appear to have been replaced many years ago. 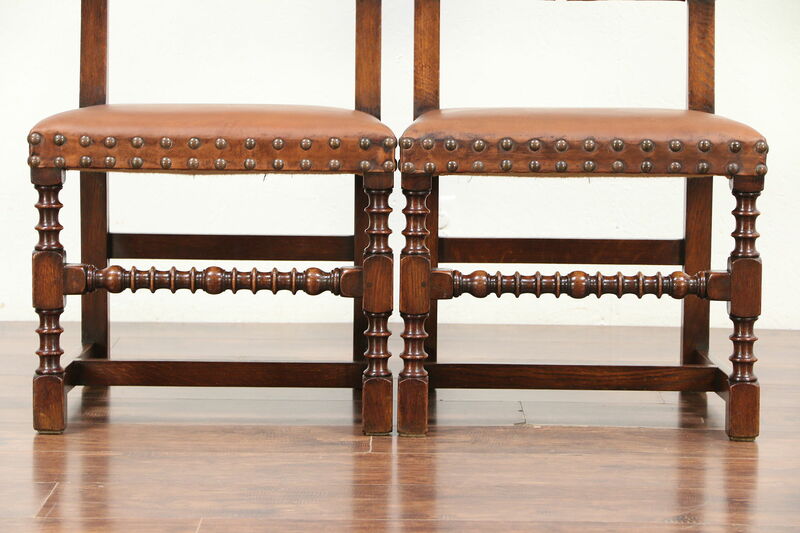 Measurements are 21" wide, 20" deep, 35" tall and seats are 18" high and 16" deep.